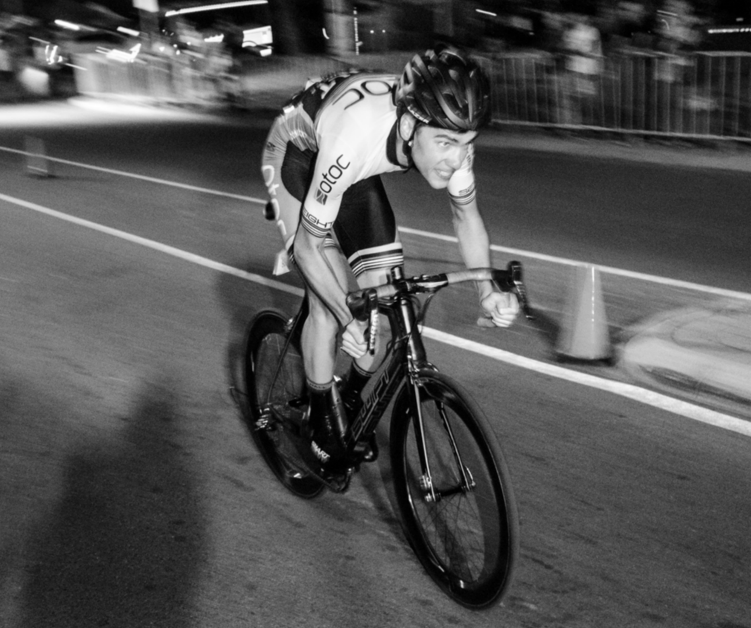 An NRS Racing Prerequisite for Success? This benchmark for success is based on our experiences in working alongside NRS athletes, based on information gathered over the last 6 years of coaching and applies to male athletes only. For female athletes we are less sure, however we would estimate this to be close to 6 minutes as a guide. We have managed to see around 7 male athletes in total reach this benchmark, with each capable of riding the front group through challenging hilly or mountainous terrain. And by front group we mean a group of between 10-20 riders cresting hill top’s and the like. We discuss the application of this statement and also its limitations, and why it is a significant variable for human performance on this athletic stage. For many people we have trained this output can only be held for a period of one minute, or even less. This output for 12mins in duration would require a maximum aerobic output or MAP (as measured by our own ramp test) of around 6.2-6.4w/kg as a guide. Huge power data. The length of time with which this can be held is important also as this represents a period of time whereby many of the undulations ridden at an NRS level are able to be ascended (12 minutes). For climbs longer than 12 mins the statement has also held true, however outputs become closer to five watts per kilogram across longer climbs up to one hour. Recently we have seen athletes with around 6w/kg for 8 minutes come close to riding the front group at NRS events but struggling somewhat to maintain pace across harder uphill sections. It is our assertion that at 6w/kg for 12 minutes a rider should ride the front group on any hilly stage within the NRS in a male population. With female NRS riders we are less clear as we do not have the same volume of data to offer statement. However 6w/kg for 6 minutes is certainly significant in predicting success here. not all power meters read equally…..
how do you define success? Is an individual winning really the only marker, or perhaps contribution to a team result, or achieving a process goal along the way…. So, a heap of limitations to this statement. Really we would only apply this statement to the hardest racing NRS has to offer in those that require a large aerobic power reserve through large amounts of vertical ascension (climbing). Several years ago, I heard a physiologist in Europe attest to the 6w/kg measure of 20mins duration as being a predictor of performance within the pro-tour peloton. So the number has been of importance initially for this reason, then extended upon with experience. The manner with which this is achieved involves an incredible commitment to training and also a voluminous training environment. However it is also important to note that the training volumes for this end rarely exceeded 20hrs a week in many instances. In fact the critical variables for attaining this goal (through observation mainly) were ability to withstand an intensive training environment, length of time being an endurance athlete, ability to motivate and inspire hard training, to name a few. The successes we had toward this goal occurred across a 2-3 year period for our team. Training across this period was largely group based and social in nature, with these riders regularly training and racing together. The individuals had an ability to keep coming back to the same type of stimulus in training: 20-25% of their training volume at intensities above their threshold each and every week. Across a 20hr week, this would involve around 4-5hrs of actual interval intensity…..
At present we have a small number of athletes edging close to this marker of fitness performance and interestingly they are not the athletes that derive success locally in road or criterium races. A good point here being that performance at high levels of racing may not equal performance at lower levels. Thus train for the hardest parts of racing is used as a guide. In concluding, we believe that 6w/kg for a given period is a credible reference point for NRS performance in experienced road cyclists and one we use to benchmark a good number of our athletes against. 1 year ago / Comments Off on An NRS Racing Prerequisite for Success?